Confined Space Specialists, Storm Risk Removal, Bushfire Perimeter Work, Pest Affected & Dead Tree Clearing. 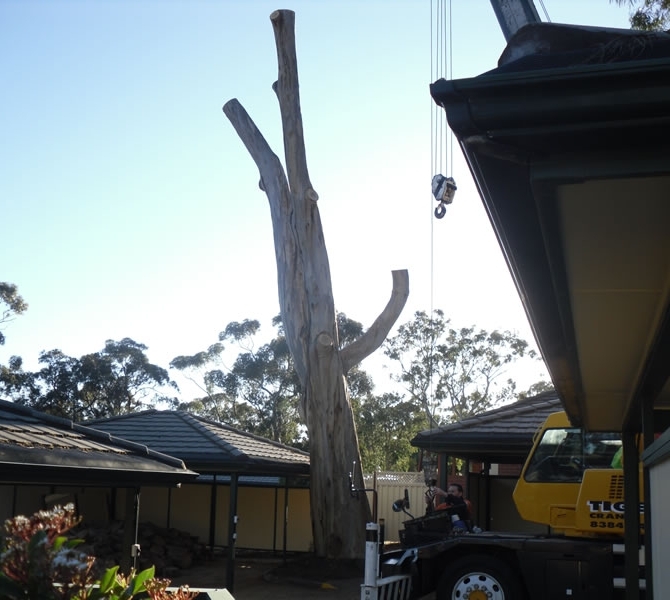 No job too small or tree to tall – our local experienced Arborist team handle all tree removals as well as major contracts including high risk work or confined space, regardless of the height or spread of the tree. Blackwood Tree Service is considered the local expert for removal of dangerous trees, overhanging trees, as well as sick and diseased trees. We also handle the safe removal of fallen and storm-damaged trees, with all work carried out being fully insured and with minimal impact to the surrounding garden area. Our team try to educate our Client’s on storm and fire risks and advise on possible ways to reduce potential hazards throughout the Blackwood area and surrounds. We have extensive experience in safely removing trees in situations with difficult access or in confined spaces. We utilise specialist access equipment where necessary and our team prides itself in providing a safe work environment. We ensure all work is left neat and tidy with a clean-up done after every job. Tree waste is removed by using our chipping machine, turning it into mulch to be removed. If logistically possible, and you prefer, we will leave the mulch for you to distribute on your garden.